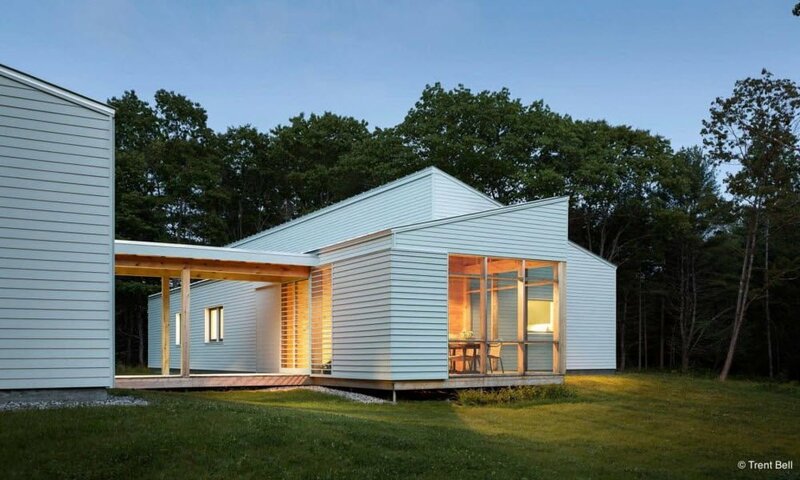 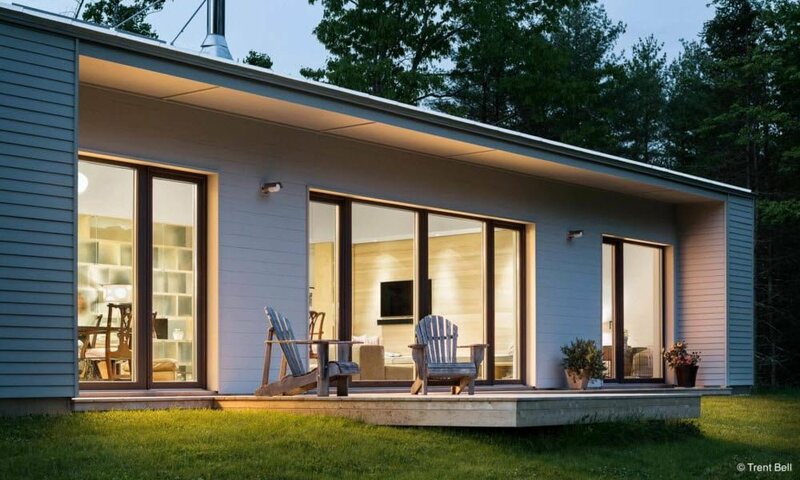 The Go Home 1700 sq ft model is a single story 1,700 square foot modern prefab single family home offering ultra-high efficiency, open, modern living in a three bedrooms and two bath modern shed style layout. 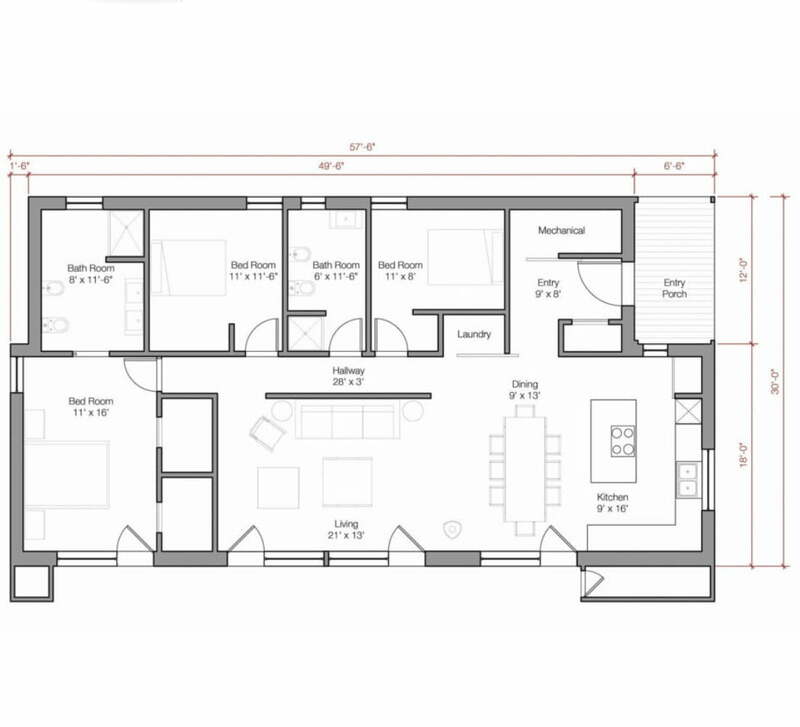 The home features open living spaces with blended kitchen, dining and living room areas. 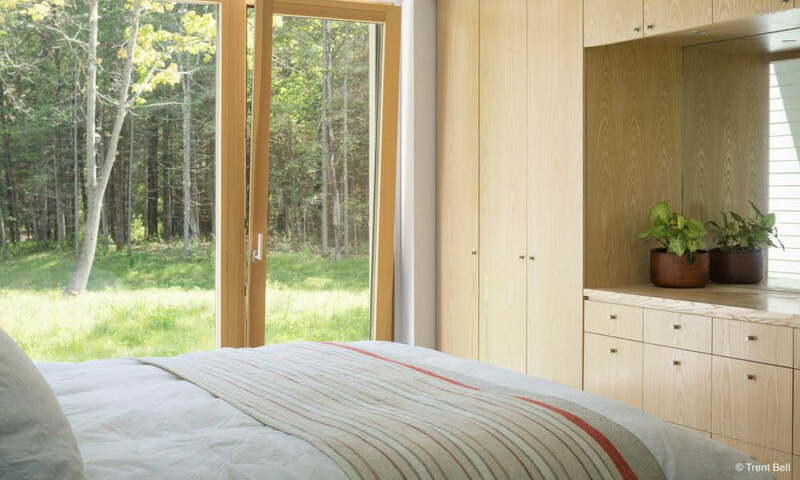 The home makes use of large sliding glass doors and over-sized windows providing ample ambient light and solar heat. 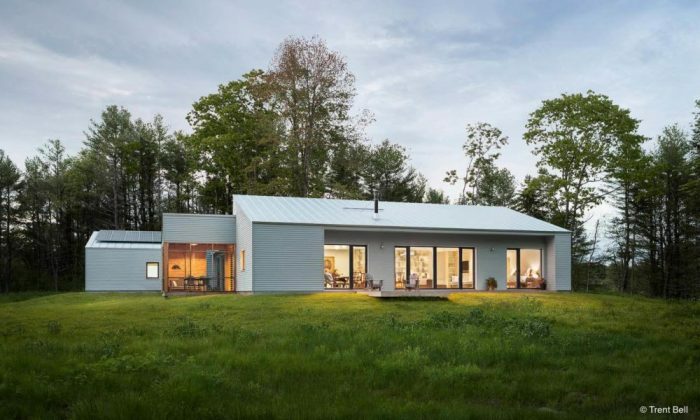 Exterior features of the home include a large screen porch is connected to the side of the home and decking at the entry and adjacent the common living areas which can be accessed by multiple sliding glass doors. 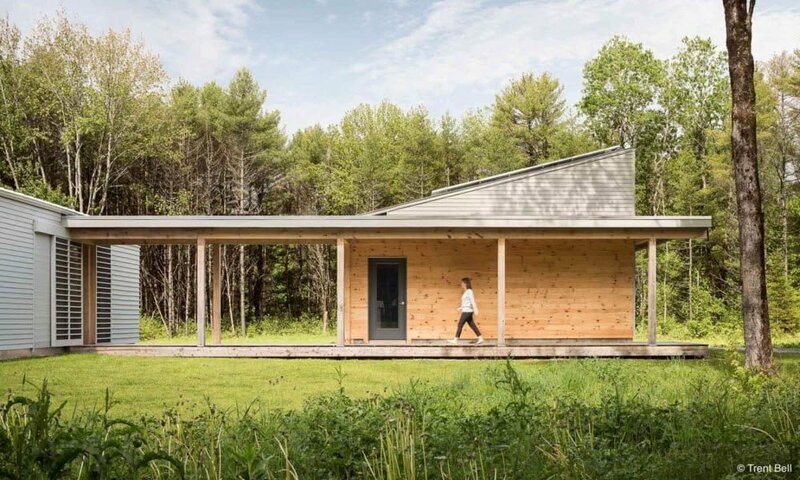 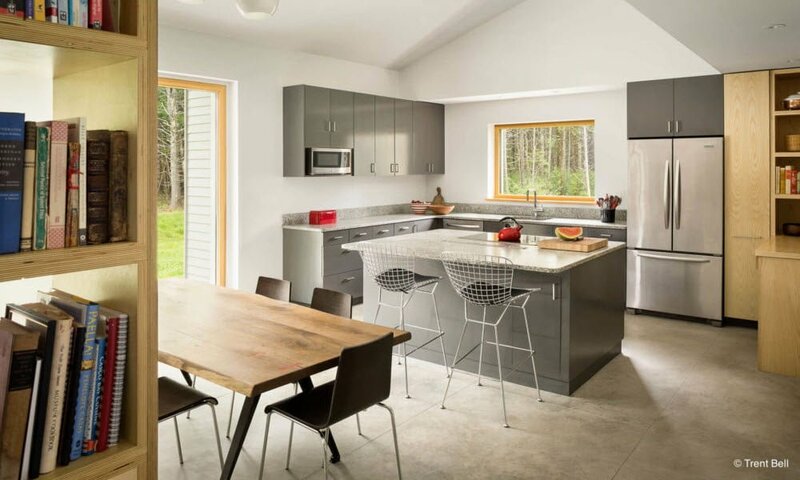 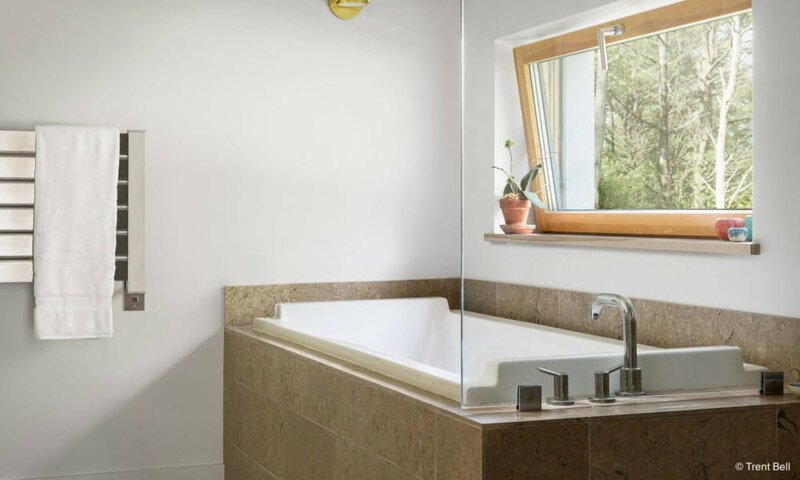 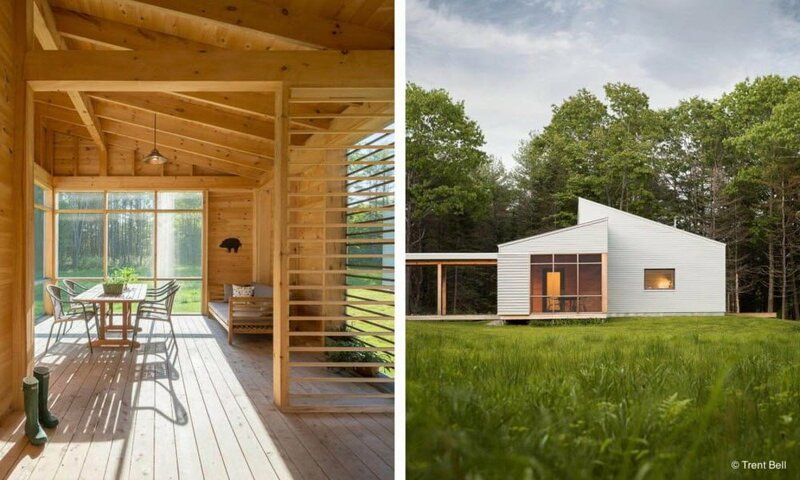 The home is built using high-efficiency passive home design featuring large, triple pane windows for passive heat gain (and abundant natural light).